WASHINGTON, D.C. — Today, U.S. Rep. John Katko (NY-24) traveled to Montreal to participate in the Leaders Plenary of the AVSEC 2018 Conference for the International Civil Aviation Organization (ICAO), which sets global standards for aviation safety and security. 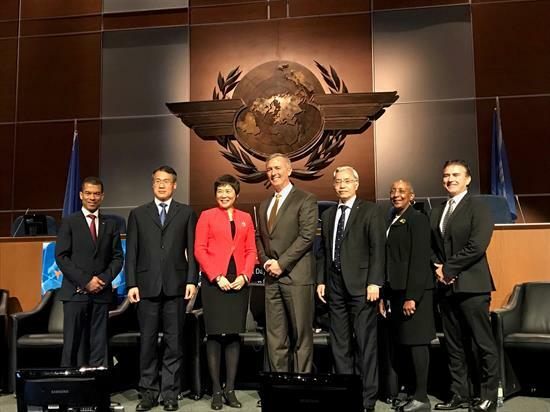 By participating in the keynote panel, Rep. Katko, who chairs the Subcommittee on Transportation and Protective Security for the House Homeland Security Committee, addressed several hundred representatives from 190+ ICAO member nations around the world. His remarks urged more investment in aviation security screening and technologies, as well as better cooperation between the United States and partner countries to improve aviation security and to protect the free movement of people and goods. Specifically, Rep. Katko focused on mutual efforts to mitigate insider threats to aviation security and protect crowded public areas of airports, where a number of high profile terror attacks have occurred in recent years.